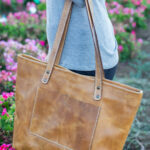 Stunning high-quality leather tote bag hand-crafted ethically in the country of Guatemala. 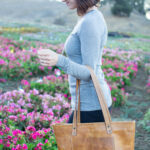 This stunning high-quality leather tote bag is hand-crafted ethically in Guatemala. 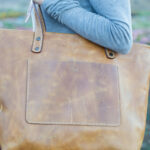 Large enough to comfortably fit a 15″ laptop and just the right size to be used as a large purse. 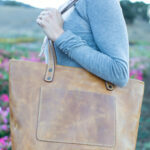 Each tote is made from 100% Guatemalan cowhides and are handmade from beginning to end. 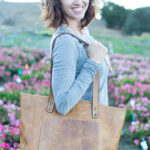 Each tote is made upon order and takes two weeks to ship internationally to the U.S.
50% of the proceeds from these tote bags help fund education in Guatemala while providing the leather workers in the town of Buena Vista with a fair wage.